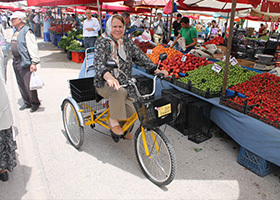 Good health is the first and foremost condition of achieving a high-quality standard of living. One of the biggest barriers to healthy living is a sedentary lifestyle. The consequences of our age and the intense urbanization are causing sedentary lifestyle to become a gradually increasing problem. 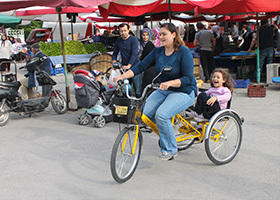 According to the Global Recommendations on Physical Activity for Health developed by the World Health Organization, a sedentary lifestyle is ranked the 4th among risk factors causing death. 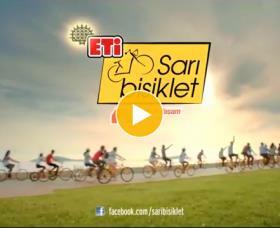 It has been revealed by researches conducted in Turkey that only 35% of Turkish citizens have an active lifestyle. Remarkably, the most sedentary age group consists of adolescents aged 16-24. 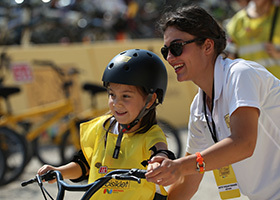 A sedentary lifestyle has been normalized and adopted among youth. 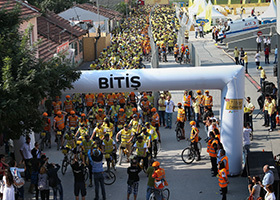 Taking these critical outcomes into consideration, ETİ has initiated ETİ Yellow Bicycle Corporate Social Responsibility Project in cooperation with the Active Living Association in 2014 with the aim of motivating people to adopt an active lifestyle and promote cycling among the public; the motto of the project is ‘Activity for Health, Bicycle for Activity’. 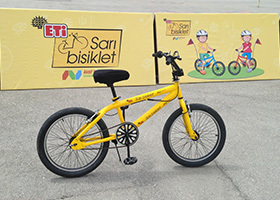 With the Yellow Bicycle Project, ETİ has been aiming at promoting wider use of bicycles in daily life and thus, contribute to a healthier future generation, raising awareness on the essential role of exercise in a healthy life. 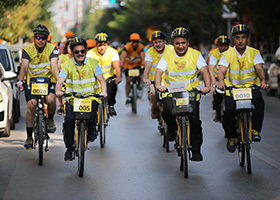 In the scope of ETİ Yellow Bicycle Social Responsibility Project, 350 thousand kilometers have been cycled from the first day of events until today. The total distance covered has become equal to seven circles around the earth. 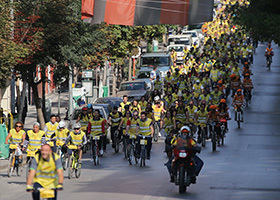 20 thousand primary school children in Eskişehir and Istanbul have been given cycling safety training. 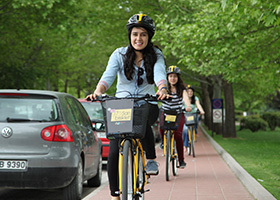 In order to integrate cycling into daily lives of women, Women's Cycling Initiative has been promoted and supported, group cycling events have been organized and transportation of university students to and from their campuses has been provided by bicycle. 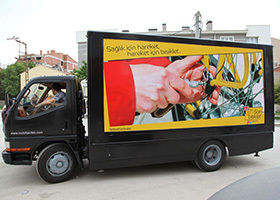 With the mobile repair vehicle, maintenance and repair services have been provided for thousands of idle bicycles. 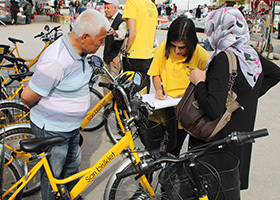 With the Recycling Campaign implemented to realize sustainability of bicycles and providing children in need with them, idle bicycles have been renewed through maintenance and repair and donated to children. 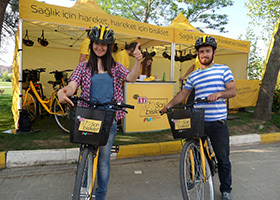 With training, events and applications addressing people of all ages including children, teenagers and women, ETİ Yellow Bicycle has been keeping on efforts to help people associate exercise with the concept of good health, and bicycle with exercise.